For those who have been wanting to learn more about Japanese culture, read our feature of this week’s entrepreneur, Rawa Rauf, the founder of Raftel Manga Store in Sulaimani! Can you give a brief introduction about yourself? My name is Rawa, and I grew up in Sulaimani. I attended Salahaddin Ayyubi High School College and then entered Architectural Engineering college which I recently graduated from. Since I was younger, I have had a strong love for tech, games and books. While I was still in high school, I came across a DVD set of a popular anime show (Japanese animations) called "Dragon Ball Z," and since then I became a big fan of the medium and got myself deep into the culture of Japan, especially the pop culture and anime. My idea was to bring the most out of Japan's pop culture into Sulaimani, and eventually all the country. I started out with the anime series, and later, manga books (Japanese comic books). I realized the demand was high and increasing at an exponential rate, so I began to think how to fill that demand. That is where I came to know Five One Labs, who kindly supported me with a business-friendly ecosystem and wide network, including introducing me to my mentor, Chris, who has given me the largest push ever since! What challenges is your business addressing? There are a few different challenges which I would love to mention. The first is that manga books were not available locally. One had to use online services to order them, which would take a lot of time and effort. Additionally, there are a lot of trust issues, especially with websites like Ebay, which people are afraid to buy stuff from. Secondly, there was a lack of a community, which made it almost hard for people to get together and discuss their favorite titles! Now people come in groups and start giving recommendations and engaging in the interesting conversations in the store. Can you tell us about your experience starting your business? I started small, and slowly began building my capital. I have had countless problems regarding getting the goods I offer, and various delivery problems with different local and international delivery companies, but I have always been able to find a way out and continued to grow! I have met with manga store owners in Baghdad to build relations. And I have been working on holding comikets (comic markets) in Sulaimani and Erbil to boost awareness of Japanese culture. Why did you join the Five One Labs startup incubator? I have always worked hard by myself, without getting myself or my business exposed to the business world. I was wondering if ever others are interested in this niche business of mine because after all, it has a very specific audience. Neither our country nor the culture supports it in a big way. I filled out the Five One Labs application without expecting to get accepted, but I got the call all too suddenly from Miss Alice and was so thrilled. At last I could meet with other people with entrepreneurial minds, and they might understand my business! I got from it more than I ever imagined. To say it changed my life whole would not be a lie. I joined to find the right people to guide me along the right path! And I'm so glad I joined. What progress have you made on your business since joining the incubator? I did market research all over and found out about my customers up close. I started tracking my sales and expenses, and the increased sales weeks after week made me all the more eager to do my best. Five One Labs has kindly provided me with comfortable shared office spaces, which is a big improvement over my previous place. 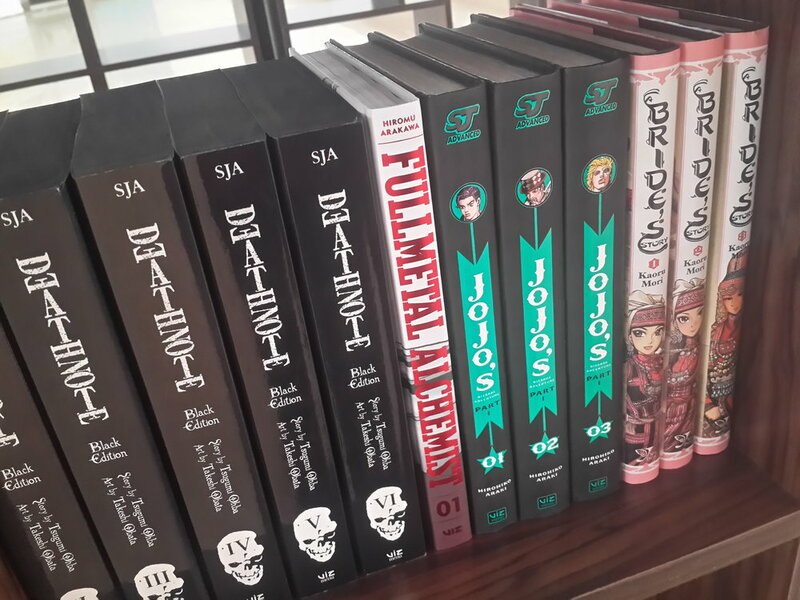 I tried increasing the variety of products and brought Korean song albums (known as K-Pop), and I partnered with Zanyar Bookshop to sell my manga. The demand is surprisingly high there as well. Last but not least, I have opened up membership plans for those who wants to read but aren't interested in collecting, so they can read several titles for the price of one each month. What advice do you have for someone trying to start their own project/business? Stick to your values and whatever you're set to accomplish. Family and friends may become great supporters, but they can never make up for the happiness in living your life the way you truly want! Believe in yourself and your projects! Be Willing to Act! Start Now! This week’s entrepreneur, Zhinya Hadi, founder of Medchar, tells us about how her startup is solving challenges related to medical data. Have a read to learn more! I'm Zhinya Hadi, a 24-year-old graduate from Sulamaniya University - College of Medicine. I'm currently working as a resident doctor. I have always been passionate about business and entrepreneurship. I have previously worked with several medical companies, and finding out about the overlap between technology and medicine has always been my pursuit. I'm working on building an online platform that connects doctors, patients and their medical needs in a patient-centered environment, aiming to return the ownership of medical data back to patients, and building connections and trust between them. What challenges does your business address? The challenge of electronic medical data is one of the hot topics worldwide, and the solutions are wide and variable. With Medchar, we are aiming to build a community on a safe and secure platform that can lead patients through their medical journey -- from finding their doctor and saving their medical data, to taking their medications and their follow up. This can be safely practiced as it would not in any way be an online clinic but rather a platform for saving medical data and guidance of patients by the doctors whom they visit in person. Medchar can be a great solution as it can be used in developing as well as developed countries. It would give patients ownership of their medical data, and doctors will be the supervisor of their patients with one click. This can be a potentially life-saving program as you can always travel with your documents in hand or easily give your doctors all they need to know about your health. Why have all your social information on Facebook but live with missing pieces of the most important information -- your health data! In every novelty lies regeneration, and for every need a number of potential solutions lie ahead. The idea of Medchar came to me during my last year of medical school, as I met one of our patients, Ahmed, who was in a very bad state of health, simply because of the lack of knowledge and guidance. He had a brain tumor, and because it took so much time, transferring him between doctors and investigations, by the time we met him, sadly he was comatose. This definitely could have been prevented if his doctors had a tool to communicate with each other and also to keep contact with Ahmed and supervise him to not go to the wrong places and lose time. Bringing this solution into life has not been without challenges, and so far for Medchar most of the challenges have been in the form of finding a good group of coders and financial support for that, but whenever a need exists, a solution must be the answer as well. If you can simplify and make this solution sustainable and developing, you have the recipe for building a business. This would be challenging of course, but persistence and having the right kind of support is all you need to make it happen. Why did you join the Five One Labs incubator? After finishing my medical degree, I was fortunate enough to have some time at hand. Being curious about business and entrepreneurship, this was the best opportunity to explore this field. When I heard about this program, which was a full-time, three-month intensive business and leadership skills training, this was just the right point to start working on an idea that had been whirling in my mind for a long time. The Five One Labs incubator program is providing the support and community, and Medchar's improvement has been a journey of formulating a business buildup. Our prototype is taking its feedback from users to build the Medchar community. To be passionate about an idea is not enough, but this definitely at times is the only reason to not give up, so choose to work on what you believe is meant to be done. Build your knowledge and research around the potential solutions, and invest in building your network of support and mentorship. You will never know when you could have missed an opportunity. For all of our football fan readers, you are in luck! This “Meet the Founder” post features Saman Karim, Sulaimani’s premier football manager who is working on launching a football academy! My name is Saman Karim, and I am from Sulaimani province in the Kurdistan Region of Iraq. I'm a former football player and manager. My business idea is to create a soccer academy for our region because we currently don't have an academy anywhere in Iraq that can create professional soccer players. 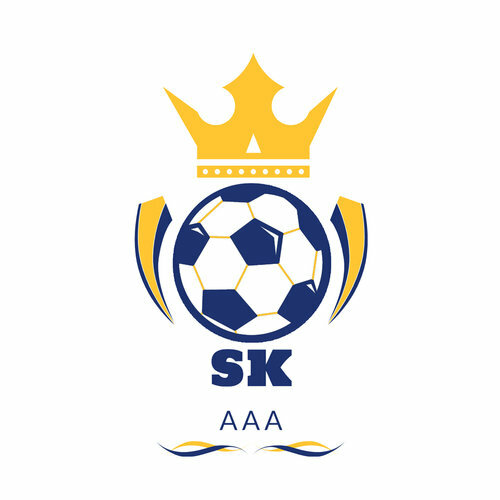 In addition to the academy, we have also created an agency to represent these professional players. The challenge we have is that we need investors to build this academy and to represent players. Most of the talented players in our region come from poor or low-income families and don't have enough money to participate in trial play and showcases that they may want to attend in neighboring countries. We conducted research about our project with a population of 950 men of every age in Sulaimani, and 97% of them felt positively about the need to build this academy for our region. 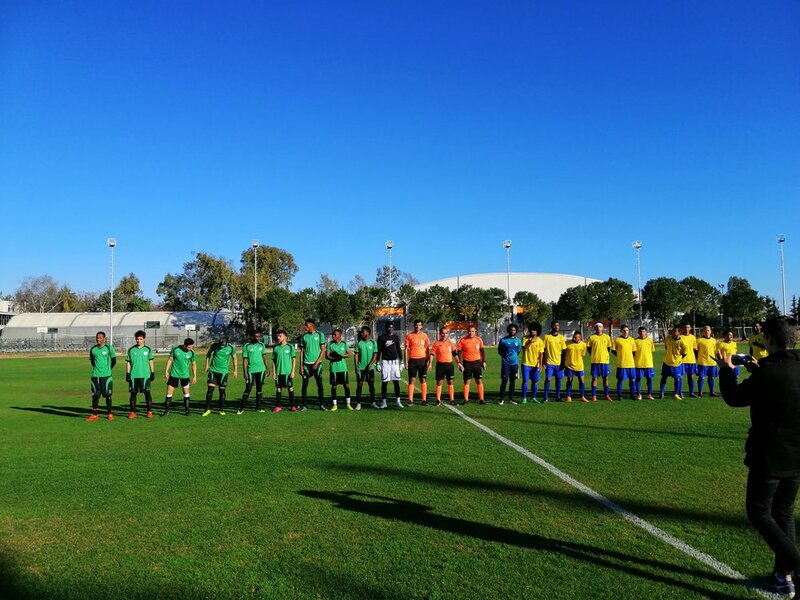 More than 60% of them are ready to pay more than $2500 every year, and through our calculation we can derive benefit from our academy without selling any players. I joined the Five One Labs incubator because of my trust in them. I knew they would do their best to make our dreams come true. 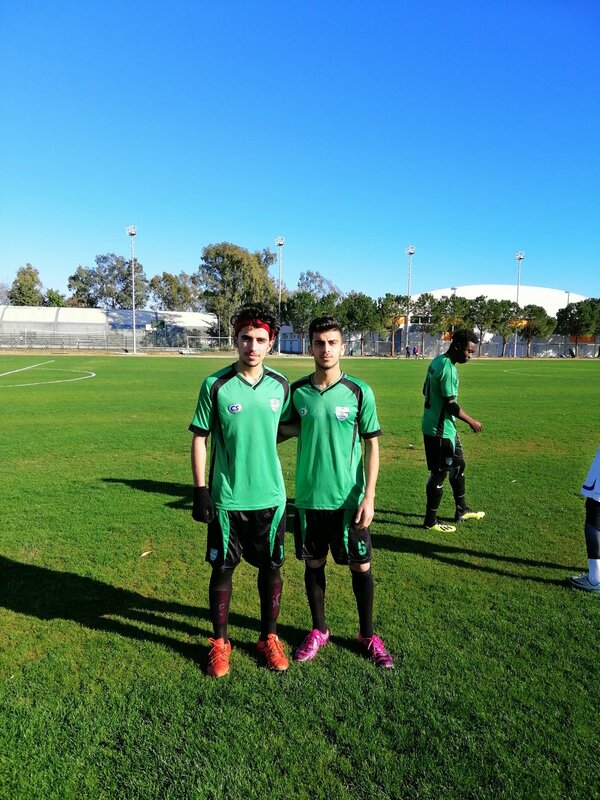 We participated in a trial play in Turkey for 15 days with two players, and now we want to send a talented player to Spain for a club in division 5. However, this participation has been slow because of the costs associated with this, and so often players don’t participate in large numbers. Don't give up and stay focused. If you slow down along the way, don't give up. Someday you will get what you want. This week’s featured entrepreneur, Sozan, is passionate about engineering and agriculture and has combined these two interests to launch Sarbany Sawz, Sulaimani’s first green roofing company! My name is Sozan. I was born and live in Sulaimani. I am a civil engineer, and I have four years experience in the field of construction. I have experience in construction and my business idea, which is “living roof” or green roofing, is also related to that field. I want to encourage and help people to use the extra area in their houses and buildings, which is their roof, and make it green to have their own green area and plant vegetables. 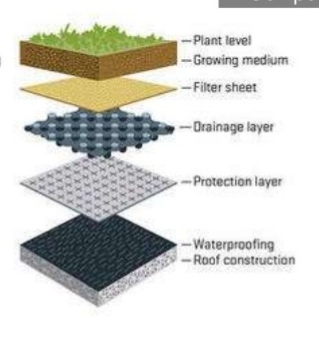 We are using a system which consists of many layers to protect the roof and plants, and this is an engineering system used by many countries in the world. There are many challenges can be addressed for living roof. First, as land continues to be replaced with impervious surface due to population growth and urbanization, air pollution and temperature increase in cities, so the necessity to recover green space is becoming increasingly critical. Additionally, lack of green space affects people mentally and physically. According to the World Health Organization, nine out of ten people breathe polluted air in the world, and this kills seven million people every year. Second, the lack of green space and soil cause stormwater runoff (flooding) during heavy raining, which results in water pollution in the cities because a large amount of rain water goes to sewer system. Third, people in the Kurdistan Region don't have access to organic vegetables, and they don't have enough space in their houses to grow them even though many people are passionate about having the ability to grow their own produce. Finally, the roofs of most houses in the Kurdistan Region are not insulated well, and people spend a lot of money on electricity and fuel to keep their homes warm in winter and cold in summer. All these problems and more can be solved by having a living roof. Starting anything in life is kind of difficult, and if it's a business it is much more difficult. Starting a business is full of responsibility, but it's not impossible if you have passion about what you are doing. I faced many challenges and problems, some of which I could handle easily but others were not easy, and I still face obstacles. Despite these difficulties, launching my own business has given me a lot of enjoyment because I have been working on something I truly believe in and am passionate about. It taught me many things that I could never get if I wasn't in a business. It made me stronger knowing all those wonderful friends who supported each other all the time. What advice do you have for someone trying to start their own business? If you have an idea that you truly believe in and are passionate about, and you know it can solve people's problems, then you have enough reason to start your own business. Do not only work for money or think that there is someone who needs your product or service. Do not expect that it will be easy. While some things are uphill, they are worthwhile. Your passion and enthusiasm will push you to overcome any obstacle and difficulty that comes to you. I always had the dream to not work for others but to instead work for myself, as we already used our roofs for planting vegetables, and I saw that other people did the same but not in a professional engineering way. Because of this, I thought that it would be great if I could help people use their roofs for green area, but I didn't know how to do it. When my friend told me about Five One Labs, and I looked at their Facebook page and website, I saw how they are doing their job in a very professional way and helped many other people. I thought it would be great opportunity if I could participate in this program, so directly I applied, hoping I would be accepted. And here I am, about to start my own business. Before I joined the incubator, I didn't know anything about business, how to start, and what processes I should follow for starting a business. Five One Labs taught us everything necessary related to business and introduced us many business owners so that we could get benefit from their experience. I learned everything necessary to start my business, and I worked on my business a lot, l did market research, finished my business model, finished my prototype and my financial plan for the next three years, among other things. This week’s featured founder is Laylan Attar, who is launching Dada, Sulaimani’s first babysitting app! My name is Laylan and I am 28 years old, a graduate with IT degree and Business administration as minor. I am also a mother of wonderful little girl who was born in January. I was born in Baghdad and lived there for 17 years, but I am originally from Sulaimani where I’m currently settled. My husband Botan Burhan is also my partner. He is 30 years old, from Sulaimani and an IT graduate with a concentration in web technologies. I joined Five One Labs with a business idea that came out of a personal need for a babysitting service that connects parents with babysitters to watch their children for a temporary time. My business addresses a number of challenges. For working parents, once they have children and build their family, they often have to give up their jobs opportunities or their social life. Additionally, children need love and care but also need their parents to be sane and happy. This babysitting solution gives peace of mind for the parents and the quality time for their children. It is for children between ages 1 to 12 years and is flexible, affordable and safe. This service helps in making a healthier family environment and creating job opportunities for qualified babysitters who love spending time with children. It is the first organized platform in Sulaimani. Starting my own business required persistence and ambition and a desire to truly want to start this solution and to believe in it. Since I joined the incubator, it was a very rewarding experience. It prepared me through the guidance of the trainers, and the mentorship that I received from very intelligent and experienced mentor Caroline, made the process possible. Also, the environment of being surrounded by wonderful entrepreneurs encouraged me to think that nothing is impossible. Three months of training, meeting businessmen and women, meeting inspiring speakers and sharing great resources all prepared me to be in that world mentally and physically. We started with brainstorming ideas among the entrepreneurs and then testing the idea by interviewing people in the market related to my segment. We then built and tested a prototype, which was the best step before launching the business idea. Finally we approached customers, built a marketing strategy, budgeted, and answered legal questions. When my first customer tried the service, it was full of remarks and feedback. It only meant that no matter how prepared I was, there is still a lot to be improved. When it is your business idea, you will take care of it as if it’s your own little baby. So I will always take care of my little baby to be a matured premier service in the market. It was always my dream to bring a change and be the manager of my own. I always thought I needed experience and education to start my own business. But knowing there is such a place as Five One Labs, which required nothing from the participants but an idea, gave me a new hope. So I joined the incubator with an idea and now im wrong, it mostly required the belief to be the manager of my own and run my own business. To be remembered: My friend once told me that her daughter’s pediatrician's wife was looking for a solution as she has children and needed someone to watch them. Then my friend told her about my solution. Accidently, she was one of the people that I interviewed randomly during the testing phase in the market. She remembered my name and my solution positively which is a great opportunity for a potential clients. Progress I made during the incubator included networking; testing my business idea by running a couple of babysitting sessions and getting reviews and feedback from them; finding new potential babysitters; finding training programs for the babysitters; and starting the legal process. Never ever start a business idea without testing the need for it in the market. Have a strong instinct and believe in yourself when everyone else against you. Be positive. You will attract opportunities. Read a lot and be aware of what’s going on around you. It is a lot of work, sacrifice and responsibility so be prepared. And plan ahead and have a vision. In this week's "Meet the Founder" post, we are introducing Znara Ahmed, an artist and entrepreneur from Syria who is on a mission to spread art throughout Kurdistan. 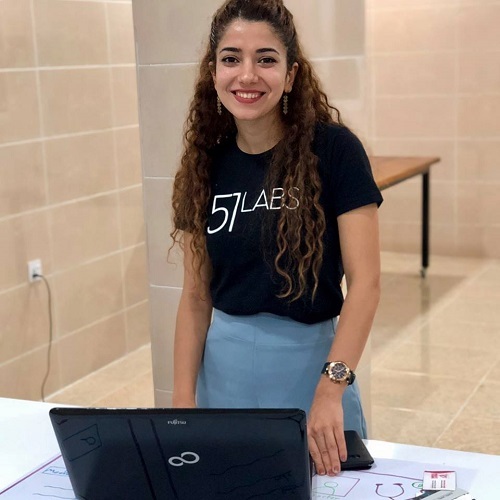 Znara participated in Five One Labs' Entrepreneur Academy, where she worked to launch her business -- a multipurpose art space that serves as a gallery and an art school. Can you tell us a little bit about yourself and your business? My name is Znara Ahmed. I graduated with an Art degree in Syria and my major was in ceramic. I like all art, especially, of course, ceramics, but also painting, photography and art management. In the past, I worked as part of the faculty at the Art Institute in Damascus. I have also participated in three art shows in Erbil, including one in partnership with Five One Labs. Further, I have worked as an executive manager at Kurdistan Little Village, a children’s learning center, where I supervised an art program. My work in photography has included being a trainer in Terre des Hommes Italia, an NGO, Goethe institute Germany. I have also worked with Save the Children. I also implemented a children’s TV program with ZaraTV, focused on claywork. As I have a strong background in the field, I came to realize there was a gap in Iraq generally when it came to art. This was the case in Kurdistan, especially as people often do not pay attention to the sector. This gave me the idea for my business. What’s your business’s current mission? I consider art to be the face of the community of any nation. It is important to advocate the sector. My business’s current mission is to create a place for children, youth and retired people to explore their creativity and develop their talent while in a gallery. How did you break into the business world? The idea of giving business a go first struck me after participating in a business module in the Five One Labs program through their Entrepreneur Academy. This motivated me to get started because from the program I had learned how to start a project, how to advertise and how to market a product. This coupled with my desire to share the experience I have and the opportunity to advocate the importance of integrating art into daily life inspired me to get started. What advice do you have for someone who wants to start their own business or project? Anyone planning to start their own business or project, you must first identify the following: the plan, the location, the target and beneficiaries. They must also evaluate and research similar projects and identify any weak point so he/she can overcome these in their own work. Do lots of research to identify the cost of starting a new project. Be sure to market and advertise your product. Finally, pay attention to the importance of leadership and be prepared to be flexible when managing staff. The skills are: flexibility and the ability to make decisions; problem solving; leadership and management; and communication. My typical day is based on planning, taking time to focus and at the end of the day, considering the results of any achievements made. What’s your favourite part of the work you do? I like the endless creativity that can be found in art. I also love that it gives me the opportunity to share my experiences with others and learn how art affects their lives. 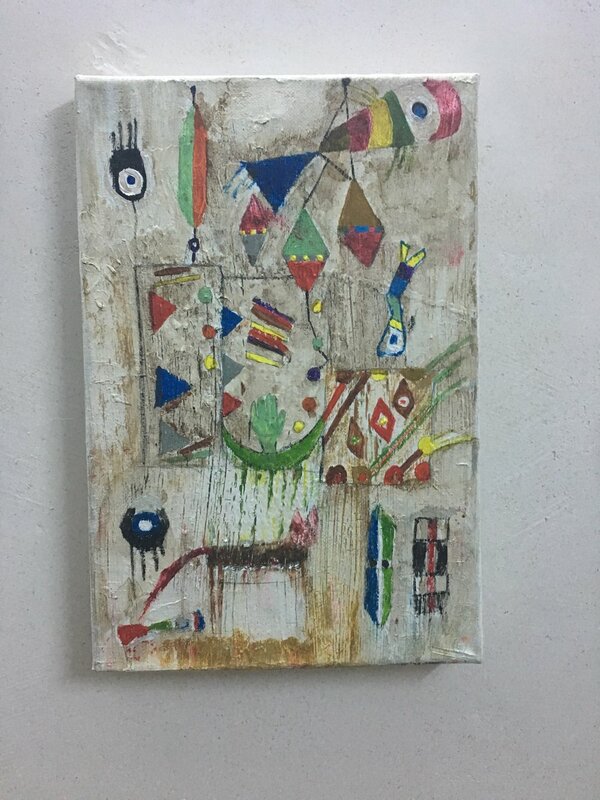 Finally, it is always great to sell one of my pieces of art. Do you feel you have faced any obstacles as a female entrepreneur and how have you overcome these? In general, most females in the country face issues in being an entrepreneur. This is especially the case if you work in the art sector, which in itself is already challenging in Kurdistan. The way I overcome these challenges is by not letting myself be stopped by them and by focusing on how to be productive. I believe having a strong personality and faith behind your goal gives you the power to change the way others think. How do you see the future of business and entrepreneurship for women? I can see success. I also have high hopes for the future of handmade projects designed specifically by those who cannot read or write. In this week's "Meet the Founder" post, we are introducing Ameen Hadeed, an entrepreneur from Mosul who cares deeply about fitness and public health. Ameen participated in the Five One Labs Startup Bootcamp in Erbil in May and came in first place in the individual pitch competition for his business idea, Lipido. I am Ameen Hadeed, from Mosul. I am 26 years old. I hold a bachelor’s degree in Electrical Engineering. My business idea is to help people, of both genders, who are discontent with their body image and fitness, to get to a place where they are happy and healthy. This is through customised meal plans, training courses, and a circle meeting game play to help them learn how to work their best to achieve their goals effectively. The UN Sustainable Development Goals which my business focuses on are: good health and well being, gender equality and industry innovation and infrastructure. 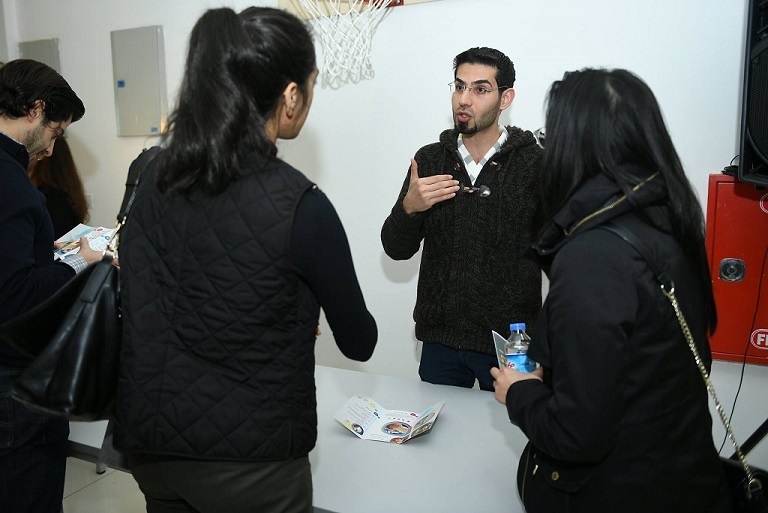 Since 2012, I have been working as a volunteer in youth development campaigns and activities with the Ministry of Youth and Sports, alongside groups of young, motivated friends. It all began when I was working in a small shop selling computers in Mosul. I noticed something was missing in the way we were working. I wanted to differentiate ourselves and stand out in the market. I started thinking about how to make a business thats stands out and beats the competition. In 2014, when ISIS invaded Mosul, I lost my job and all the money sources in the city shrank. New challenges stood in front of all the people living here, and money, especially, was one of them. In 2016 I started a small internet service provider with money that had been left to me. I started to search for answers to my earlier problem: “How to start a special business that works?” However, times were tough back then. The circumstances we were facing inside the city were the hardest a man could endure. I was determined to search for a good number of to read about. I began downloading books to feed my curiosity on the topic. I wanted new relationships with people with similar beliefs and ideas, especially after the war. I decided to choose a new path because I knew there wouldn’t be job offers in the future because of the different obstacles Iraq faces. After the war ended in East Mosul, where I live, we were liberated, thank Allah. Safely, I went to complete my fourth stage of college and then started to work again. Following this, I participated in a large workshop, the “UNDP Innovation for Development,” at both the basic and advanced level. It was a huge turning point for me because I wanted new relationships with people with similar beliefs and ideas, especially after the war. I was working to fill the gap by learning and experimenting with the necessary skills be a successful entrepreneur. I’m passionate about fitness and have specialized knowledge in the field. So the idea flashed into my head as the market had large potential and opportunity. I am now starting to execute my idea in Mosul as a franchise. I went on to make prototypes for my startup, until I finally succeeded when I participated in Five One Labs Startup Bootcamp in the “Entrepreneurship for all” program in May 2018. There I learned how to validate my idea and went on to be the winner in the pitch competition for individuals for my idea “Lipido.” I made great progress with the support of Five One Labs’ Director of Training and Business Development, Pat Cline, as a mentor. My advice to would-be entrepreneurs is to take time learning the different roles of an entrepreneur while also having the mindset, the vision and the necessary skills and tools to think, act, and innovate. Also, it is important to to read a lot about entrepreneurship and to start a business that you are passionate about. A business that solves a clear and definite problem. Don't be afraid to fail, because failure is a great teacher. Entrepreneurs are well known as risk takers, so I encourage you to take responsibility of your decisions. Don't be afraid to fail, because failure is a great teacher. There are three skills I emphasize particularly. Firstly, cash flow management because it is the foundation of a business. When there is no money, you’ll be out of business. Secondly, communication is important in how you share your ideas to customers, employees and partners when you are trying to sell it. Finally, the last skill is to have the visionary mindset of an entrepreneur, to work on your business and not in it and lead it to success. My typical day is focused on building and optimizing business systems so I can make sure the value is delivered the proper way and scale the business to grow. My favorite part of the work I do is the process, itself, of being an entrepreneur. For example, using skills like strategic thinking and coming up with innovative new product ideas and seeing the impact on the customers and their reactions.